Variable label data can come from as many sources as you need. 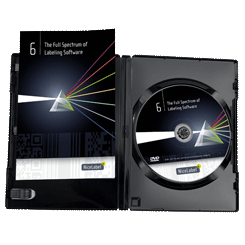 Full serialization, including non-decimal serial numbers, custom barcode check digits, global variables, output masks, date/ time arithmetic and scripting help you easily create complex variables. You already have your label data in a database; why not use it to improve your labeling? Using queries you can extract only the data that you need. You can also combine records from two or more tables in a database using Joins. EasyForms give your operator simple label printing, all within one form. This reduces data entry errors, label misprints and duplicate serial numbers associated with printing from multiple dialogue boxes or label design programs. Designer Standard includes modules that help you print faster and more accurately. QuickPrint helps users quickly pick the correct template. NicePrint gives them an easy data-entry interface avoiding the use of a label design program. You already have your label data in a database; why not use it to improve your labeling? Rather than create lots of near identical label designs, design a few templates and connect them to your existing data. OLE/ODBC support allows you to connect with most database formats. Designer Standard supports serial numbers, prompts, date/time stamps, linked fields, expressions and database. Expressions allow you to concatenate (link together) and manipulate fields and create composite variables such as serial numbers. 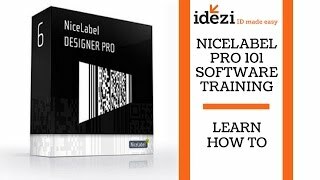 NiceLabel Designer Standard Wizards make it easy to perform common label design tasks, including connecting to your existing databases.